I write this with some trepidation. Why Mars and not the Moon? I may just put that out there and leave it for now. Also, this subject is so immense it will warrant further blogs – there’s no way it can be covered in a single piece. I have the following basic headings to set the ball rolling: About Mars, Getting to Mars, Martian Terrain, The Mars 2020 Rover, Life on Mars and Bizarre Mars [just for fun]. This blog will cover ‘About Mars’ and ‘Getting to Mars’ and include some excellent Mars Curiosity Rover video. Mars is the fourth planet from the sun. Befitting the red planet’s colour, the Romans named it after their god of war. The Romans copied the ancient Greeks, who also named the planet after their god of war, Ares. Other civilizations also typically gave the planet names based on its colour — for example, the Egyptians named it “Her Desher,” meaning “the red one,” while ancient Chinese astronomers dubbed it “the fire star.” It goes without saying that these cultures had decent methods for the observation of Mars. The red planet is home to both the highest mountain and the deepest, longest valley in the solar system. Olympus Mons, about 27 kilometres high, is the largest volcano in the solar system. The massive Martian mountain towers high above the surrounding plains of the red planet, and is possibly biding its time until the next eruption. The Valles Marineris system of valleys — named after the Mariner 9 probe that discovered it in 1971 — is likely as deep as 6 miles (10 km) and runs east-west for about 4,000 km (2500 miles). The goal is to send humans to the Red Planet in the 2030s. That journey is already under way, but there is a lot of work to do yet. Landers, Orbiters and Rovers have significantly increased our knowledge about Mars and paved the way for future human explorers. 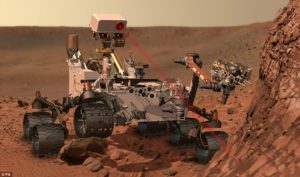 The Curiosity Rover, for example, has gathered radiation data to help us protect future astronauts, and the upcoming Mars 2020 rover will study the availability of Martian resources, including oxygen. Building on the robotic legacy, the human exploration of Mars occupies three stages, each with increasing challenges as humans move farther away from Earth: Earth Reliant, the Proving Ground, and Earth Independent. Earth Reliant exploration is focused on research aboard the International Space Station. The Proving Ground is a series of missions near the moon that will test the capabilities we will need to live and work on Mars. Astronauts on the space station are only hours away from Earth, but the proving ground will be days distant, a natural stepping stone to a Mars mission, which will be months away from home. Following that, astronauts will board Orion for a similar mission, traveling farther than humans have ever traveled before. Also in the 2020s, astronauts will embark on a yearlong mission into this deep space proving ground, verifying habitation and testing our readiness for Mars. Finally, we become Earth Independent, building on what we’ve learned on the space station and in deep space to send humans to low-Mars orbit in the early 2030s. This stage will also test the entry, descent and landing techniques needed to get to the Martian surface. A study of what’s needed for in-situ resource utilization, or ‘living off the land’, will also be undertaken. NASA is already studying potential ‘Exploration Zones’ on the red planet that will reveal notable science data and perhaps provide resources the astronauts can use. Science missions have already entered the Independent phase, with the next rover due in 2020. It is also intended to undertake a round-trip robotic demonstration mission with sample return in the late 2020s. 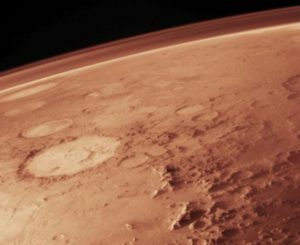 Mars is the next tangible frontier for human exploration. There are immense challenges in getting to our planetary neighbour and knowledge is the key, in particular how to overcome deep space radiation. However, we are well on our way to getting there, landing there and, most importantly, living there. Ann B. Keller Fascinating. I didn't know about all of these elaborate plans. I'm glad that we're doing something about reaching out into space again. It's about time! clayton Hi Ann Thanks for the comment. A long way to go yet but at least it's a plan! Deepak Menon Very nicely written article Clayton! 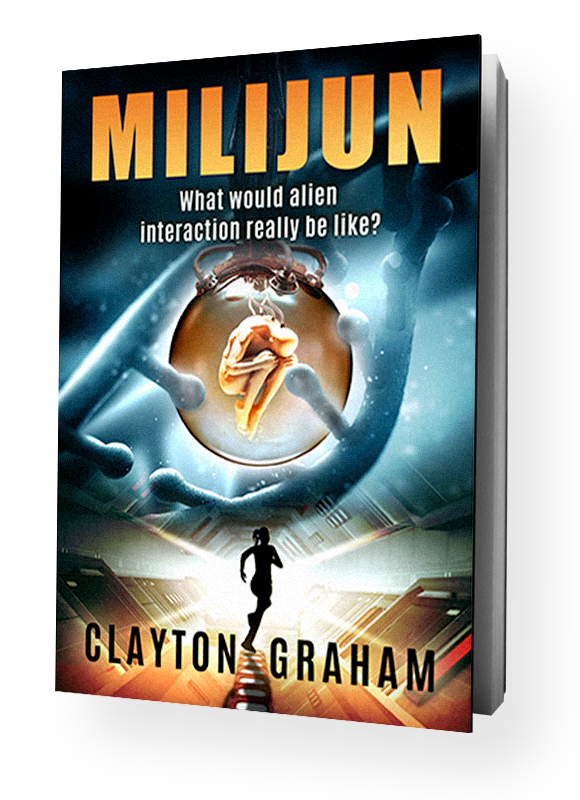 My third Sci FI thriller is set in our own Solar System, with the Mars Mission having become operational in 2032 AD .... And a large contingent of humans resident there. I think you will like my depiction of life on Mars in the Mars Mission, besides action on the Moon's of Mars among others set across the Solar system. 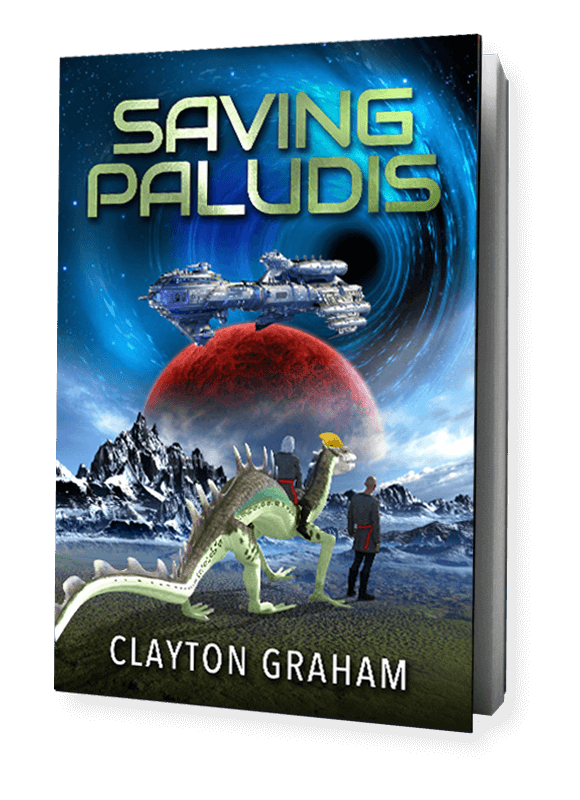 The name of the book is Spacevasion & it's on Kindle. Look up Deepak Menon - I saw your profile on the PnP Authors site where I am also a member! clayton Hi Deepak Many thanks for your comment. All the best with your book. Best Wishes.